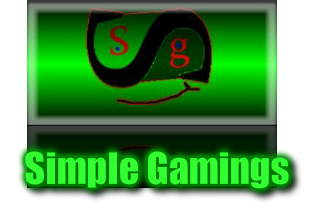 GCS is entering a new phase and in the future will be called SGS, SGS will be the continued GCS with more features. Why are we doing this? Because we want to make GCS more serious now that people are enjoying it. We want it to be a powerful, simple, and flexible program so that it can be used by experienced and inexperienced game developers, as well as people who just want to try out making their own games. SGS will be able to be run on Mac and Windows. In order to do so we will be starting from scratch again, so SGS won't be out for a while (2 or 3 months most likely). This page will remain and GCS 1.0 1.1 and 1.2 will still be available. Thoughts or comments on this? Contact us below. Create games quickly and easily with GCS. This is it's Free Beta so please enjoy and tell us what you think, and what should be fixed as well as added. NOTE: GCS is for Windows only! Download the latest version of GCS above! G.C.S. has it's own blog. That's where you can fallow up on the development of the program. Report an error, or send Feedback/Ideas for the program. If you want a reply then fill out the email box. Your message will be replied to in most likely 1 day or with in the hr. Each message is personally read. Your name is only what we refer to you as, it does not have to really be your name.